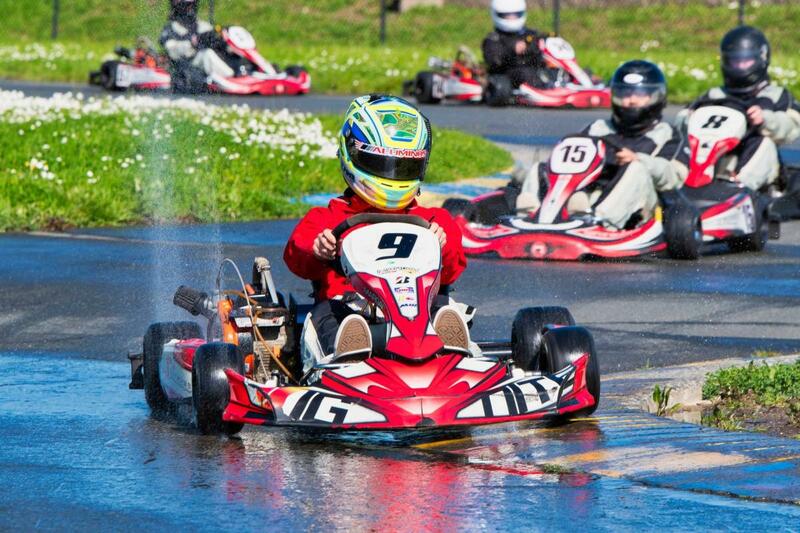 More than 35 race fans raced alongside stars from the NHRA Mello Yello Drag Racing Series on Saturday as they helped support a great cause during the 17th annual NHRA Tour de Charity at Sonoma Raceway's Simraceway Performance Karting Center. 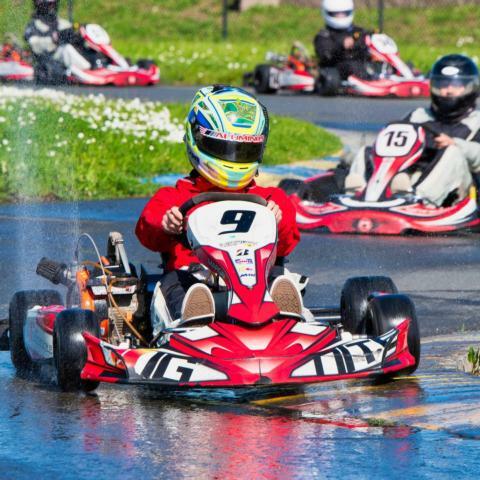 The charity event, which pitted race fans against four NHRA racers for a day of karting on the raceway's challenging kart track, raised $11,900 for Sonoma Raceway's charitable arm Speedway Children's Charities (SCC), bringing the 17-year total for the event to more than $187,100. NHRA Funny Car drivers Jack Beckman (Infinite Hero Foundation Dodge Charger), Ron Capps (NAPA Auto Parts Dodge Charger) and J.R. Todd (DHL Toyota Camry), as well as Pro Stock Motorcycle rider Scotty Pollacheck (Matt Smith Racing EBR) traded paint and rubbed elbows with fans. Beckman, Capps and Pollacheck have attended the event for many years, while Todd joined for the first time. "I had so much fun out here today. I've heard so many great things about this event and talked some trash about how well I would do out here, but I definitely had my rookie stripe on today," said Todd, the 2018 NHRA Funny Car champion. "I was so glad to be here to support the charity and have some fun, and I can't wait to come back next year." Speedway Children's Charities raises funds for distribution to qualified youth organizations in Sonoma County. The charity has distributed more than $6.4 million since 2001. "This was awesome. It's incredible and I had such a great time. I highly recommend it to anyone who's even thinking about coming to this event. It was even more fun than I expected," said first-time participant Jeff Winkler of Livermore. Capps took home "King of the Track" honors among the NHRA racers, turning the best lap over the .65-mile circuit at 1 minute, 4.961 seconds. Capps has garnered King of the Track honors 11 times over the past 17 years. Klint Simpson won the day among the partipants, missing Capps' mark by just .398 seconds (1:05.359). Todd also performed well, placing third with a time of 1 minute, 5.414 seconds. The Simraceway Performance Karting Center provided the karts, race suits, classroom instruction and on-track pointers for all competitors. For more information about charity events at Sonoma Raceway, visit www.speedwaycharities.org/sonoma/ or call 800-870-RACE (7223).